Vertical gardening is a great way to maximize your garden space and GRO Products Vertical Gro System 7258 is the most versatile vertical growing system in today’s marketplace. The VGS is quick and easy to assemble-it only takes a few minutes. The VGS is constructed right here in the USA with unfinished Cedar, a naturally rot and insect resistant material. 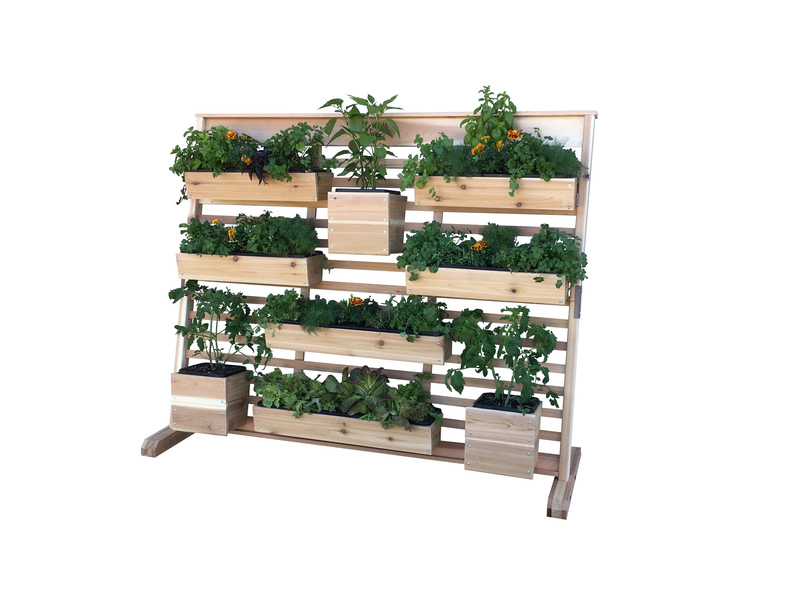 All assembly hardware is included.The removable planting boxes can be adjusted on the VGS to accommodate different plant heights. Included with each VG Box are removable, heavy duty plastic liners that provide a barrier between the soil and cedar. Good idea for privacy wall! This is a GRO Products Best Seller!